Many demanding production process require frequent equipment washing or disinfection. At some of them air pollution is aggressive or possibly flammable. 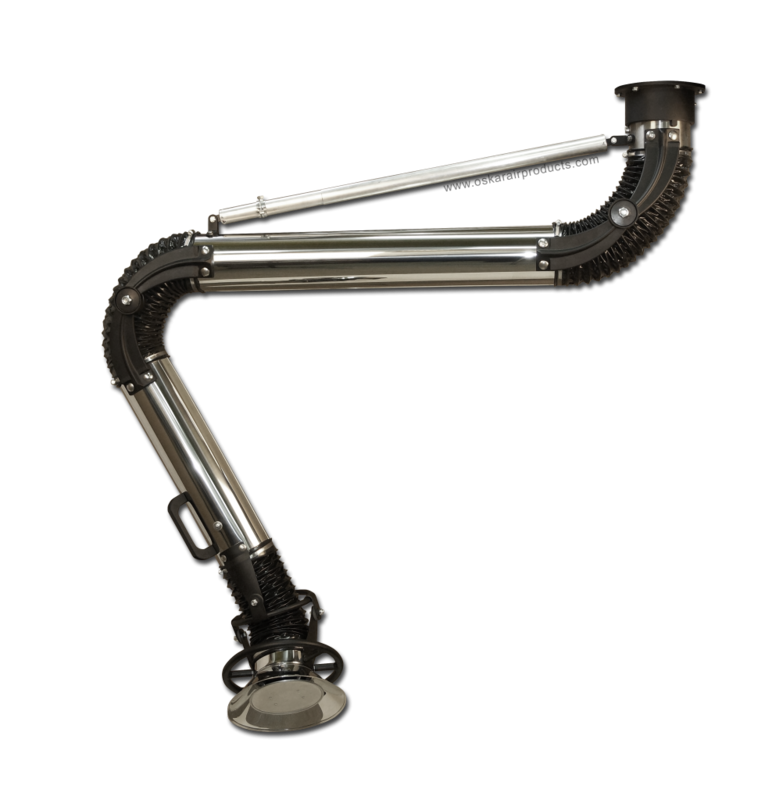 In such cases stainless steel fume arm is the easiest way to control the problem at source of its creation. 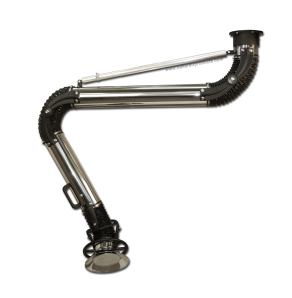 Oskar stainless 125 fume extraction arm is a unique construction with smooth stainless steel tubes and aluminium outside joints which allow lowest pressure drop, low noise level, easy maintenance and remarkably long operational life time. All adjustments are on the outside which means there is no need to stop the exhaust system and there is no contact with polluted air stream nor duct interior when the arm regulation is need. Oskar stainless arms can be combined with different types of elastic hoses and construction options to provide user with tailored solution.